Getting repossessed is not the end of the road for getting financed in another car although it will take six or seven years to get back to A or B rated credit. You will have to be perfect with any credit you have over that time frame in order to keep building back but its not impossible. In the meantime we recommend waiting about a year or two prior to getting another loan if possible, regardless you will still end up with a pretty high interest rate in the sub prime category. There are lenders that specifically loan in the subprime categories. Usually after a bankruptcy or a couple years after a repo, you will start receiving pre approval loan notices from sub prime lenders, these notices usually have a dealership listed on as well. 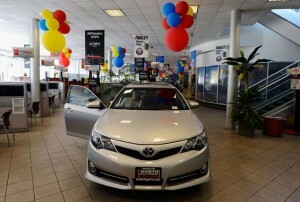 It is typically the dealership that does most of it’s pre owned financing with that lender. A bank may finance you after repossession especially if you bank with them and they see that your pay checks are coming on a regular basis usually by way of direct deposit. However more often then not, it will usually be the finance company within the car dealership, the dealership will have a direct financing deal with the lender and have the yes or no power to approve your loan. A dealership financing department will do everything to get your loan approved. In fact most have something set up where if the consumer skips out on the first payment the loan will not process meaning the finds will not be reimbursed to the dealer and the dealership is responsible. Lot’s of repossessions coming from new car dealers and this is usually the reason. The final option you have is the in house car lot which is the one to absolutely avoid. They collect payments on a weekly basis, max out interest sometimes 29% have in house repo men and are loans made to fail. Our recommendation is to try your own bank first and get a pre approval, if that doesn’t work than work with the franchise dealerships in house sub prime loan department. The interest rates will be higher as long as you still have that previous repo on your credit, but depending on your last year or 2 you can really begin bringing it back up for better rates. With a previous repo no doubt who ever decides to extend credit or finance your car will need to see documents that show a clear improvement or a steadiness in a paycheck. If you are self employed as so many are today, a P and L which used to work fine will no longer work, they want actual income tax transcripts, they want actual pay stub for up to 3 months and again for those self employed that do not have pay stubs need to somehow prove the amount they are making, perhaps bank statements showing the deposits will work. They will have to see a current utility bill that shows a good address, the same one on your credit report. If all the above is a go and everything seems good, sometimes you can get away with a down payments that barely covers your license plate fees. However expect to walk away having put at least $1,000 to $2,000 down on a used car. The more down you put the more they may work with the interest rate which unfortunately will be at a much higher level until you can refinance at a lower rate, or later trade in that car for a another car when your credit improves. Overall, not impossible and very doable. You just want to be smart about getting into another situation that may end you up where you left off with the past car getting repossessed.